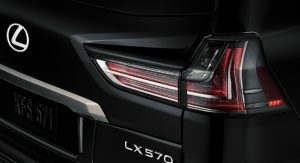 Available in time for the winter holidays, the 2019 Lexus LX Inspiration Series will be limited to 500 examples, starting from $100,420. 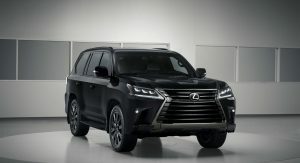 The exterior of the 2019 Lexus LX Inspiration Series features a Black Onyx paint finish, complimented by the grille’s dark chrome surround, lighting units, windows, license plate and back door. 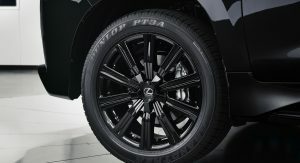 Even the 21-inch rims are black. 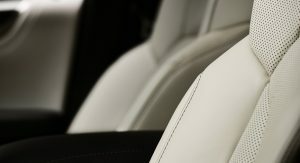 The interior features a black headliner and Moonlight White Semi-Aniline leather upholstery. 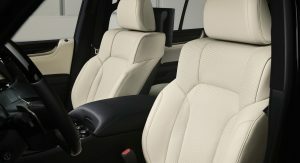 Providing a unique finish to the interior are the carpet, cargo mats and key gloves. 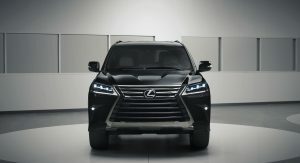 Lexus has equipped all units of the LX Inspiration Series with heated and ventilated front and second-row outboard seats, four-zone climate control, rear-seat entertainment system, Mark Levinson audio and a color head-up display. 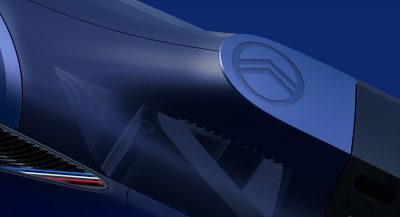 The cool box, wireless charger for mobile devices, 12.3-inch navigation display and others are also offered as standard. 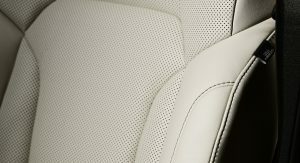 The Lexus Safety System+ bundle of driving assistance systens comes at no extra cost. 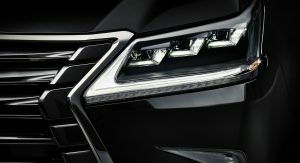 Features included here are the Pre-Collision System with Pedestrian Detection, Lane Departure Alert, radar cruise control and intelligent high-beam headlamps, in addition to the Blind Spot Monitor with Rear Cross-Traffic Alert. 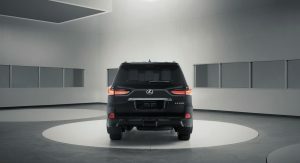 Lexus’ 2019 LX Inspiration Series benefits from the sturdy body-on-frame construction as the rest of the family. 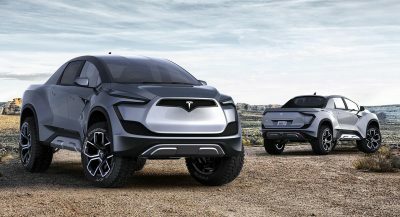 This, combined with the five-mode multi-terrain system that includes Rock, Rock and Dirt, Mogul, Loose Rock, and Mud and Sand, low-range gearing, Crawl Control, hill-start assist and others make the SUV a more than potent off-roader. 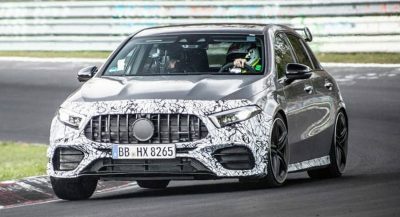 The 5.7-liter V8 engine, rated at 383 hp (388 PS / 286 kW) and 403 lb-ft (546 Nm) of torque, is married to a smooth-shifting eight-speed automatic gearbox. I’m sure it’s a nice place to be in and drive around, but god! It’s ugly on the outside. Man the exterior is just so fugly! 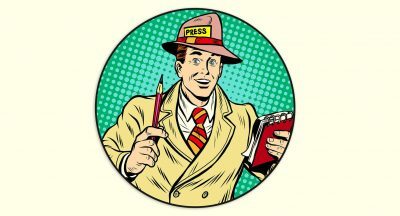 I respect that man. 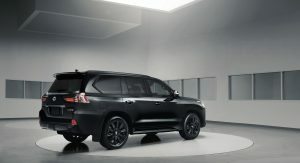 To each have his own, if it was me to choose between the LX and the latest Land Cruiser, i’ll Pick the Land Cruiser. But thats just me. 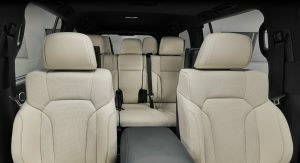 I would rather have this than the Navigator, exterior-wise, but I prefer the Navi’s interior. This interior is good too, great color scheme and contrast. I think I’d prefer this in white. God aweful ugly … I have no other words.. sorry either a Navigator or Land Rover for me thank you! Why would you pay so much money for a brick. And black on black just looks lazy. It doesn’t look good. 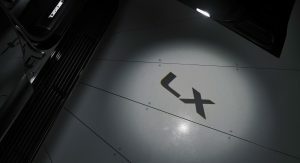 Anyways everything in the Lexus lineup is just a ugly disgrace lately.